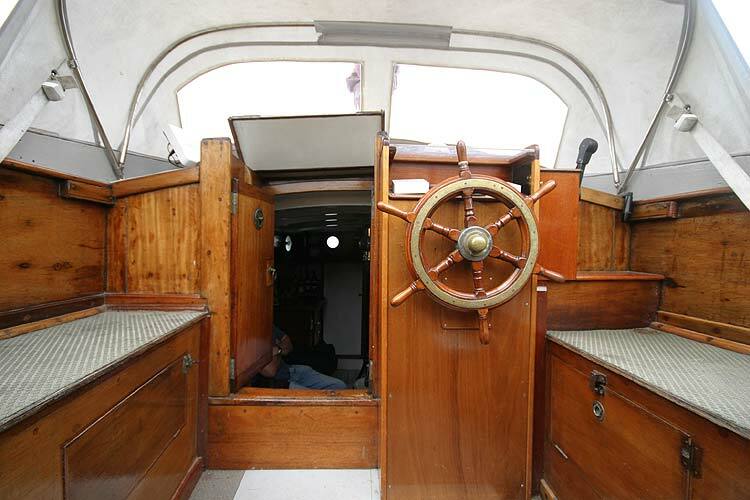 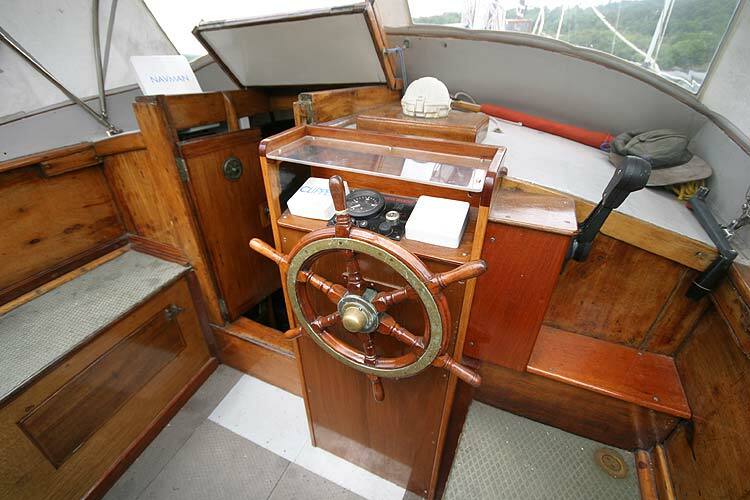 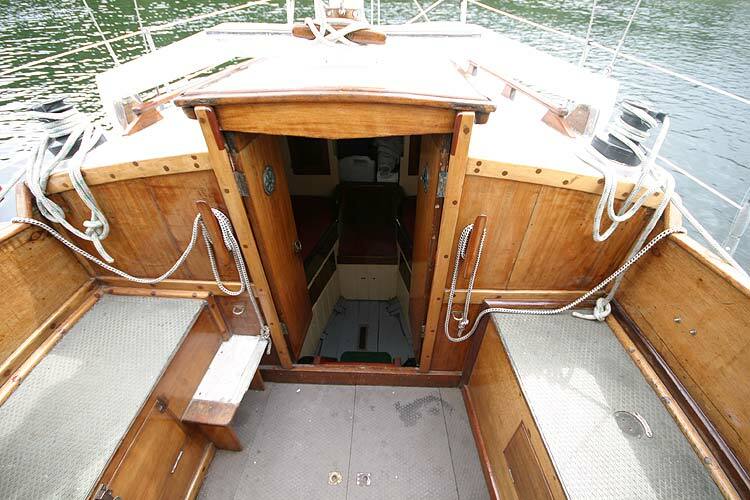 Designed by David Hillyard and built in Littlehampton in 1933 this classic 8 Tonner is constructed of oak frames with pitch pine planking above the water line and larch below. 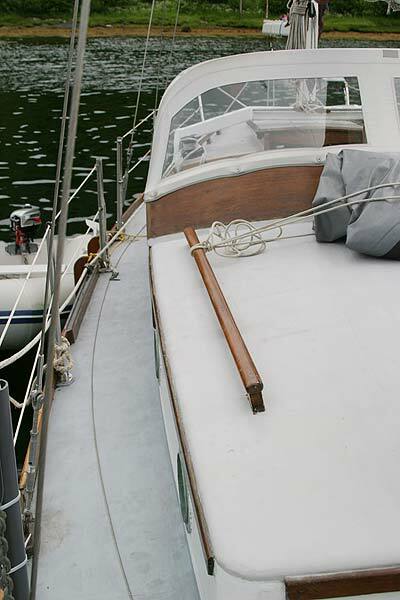 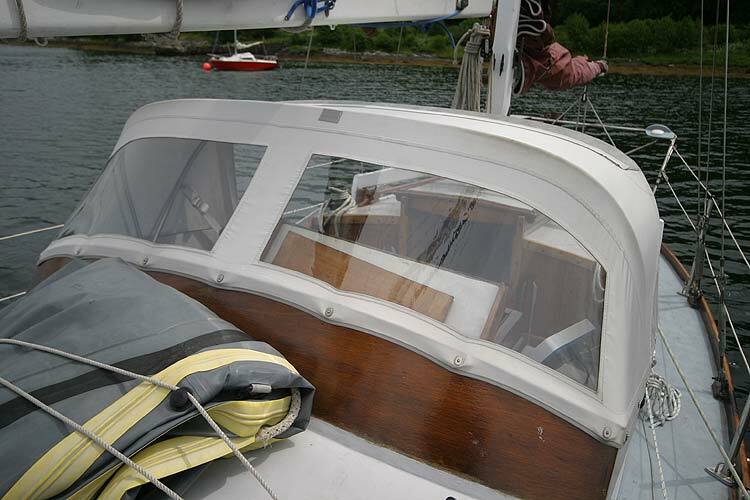 Decking is marine ply and pitch pine planking. 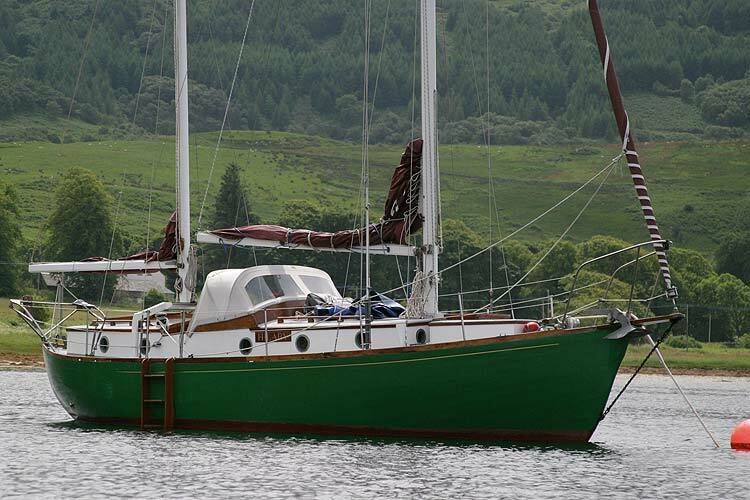 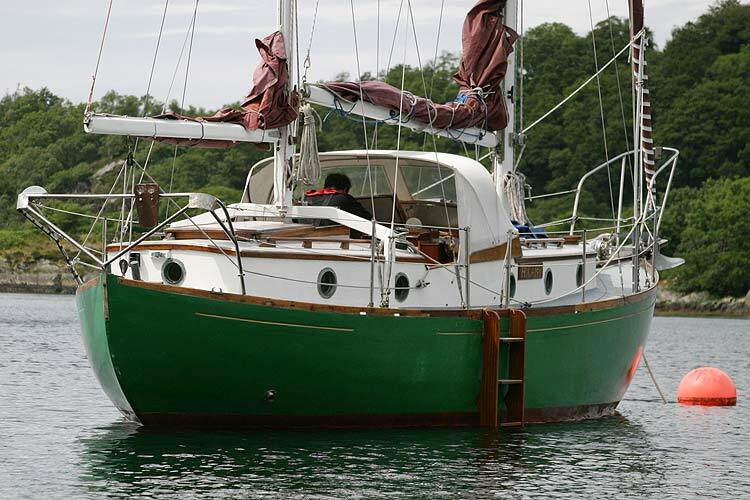 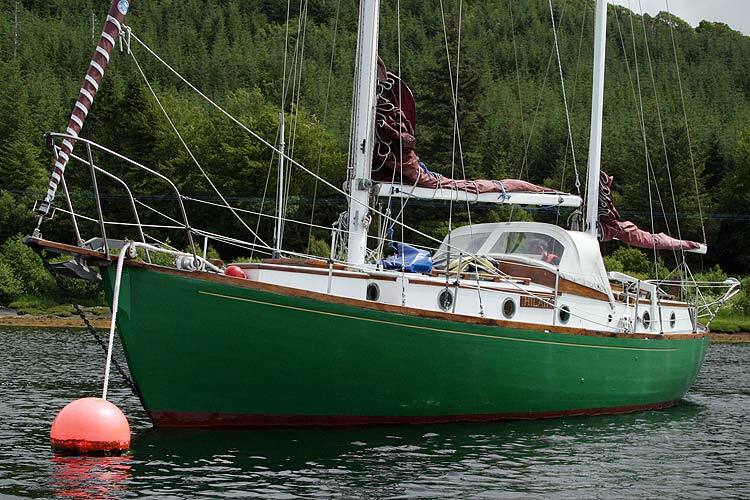 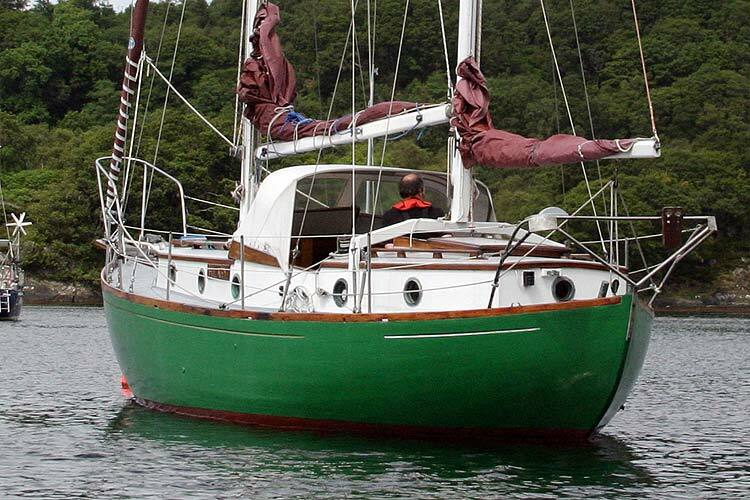 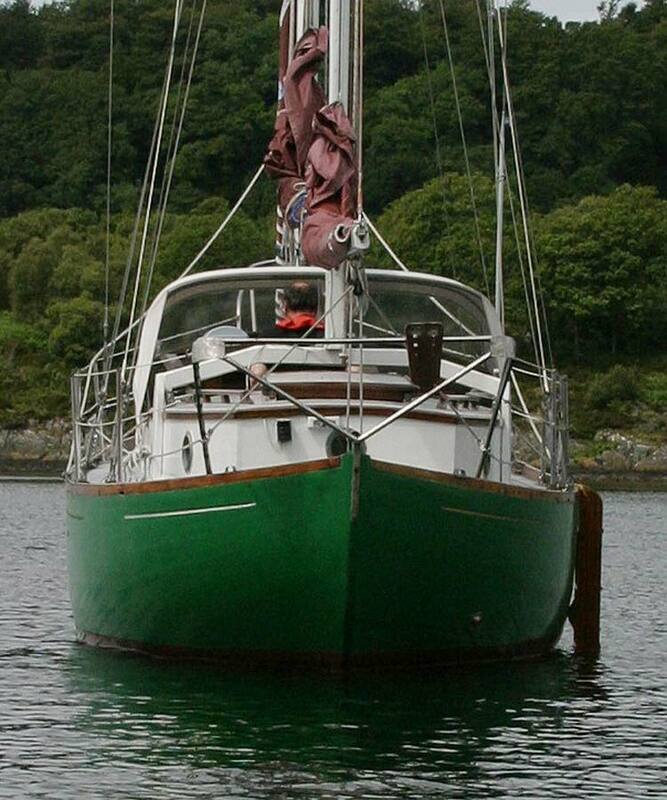 Expertly rebuilt and modified by Arthur Miln of Bute in the late 1970's she now carries a centre cockpit and stern cabin and a long cast iron keel. 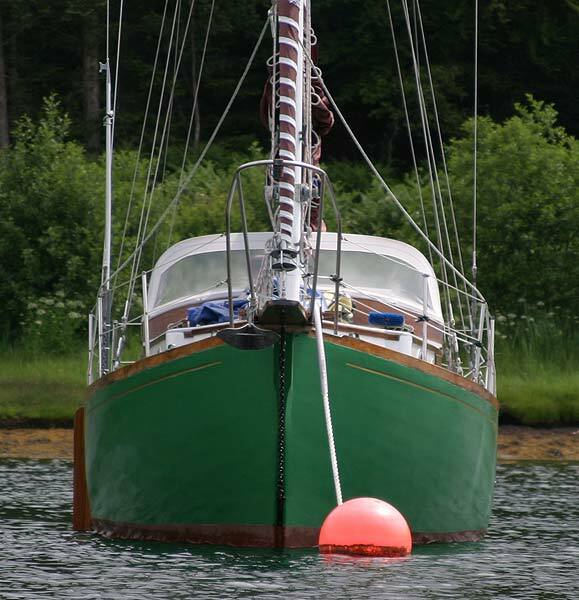 She is a Bermudan Ketch with beautiful tan sails. 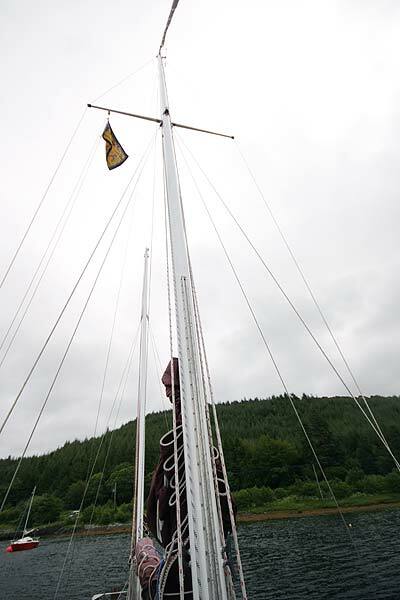 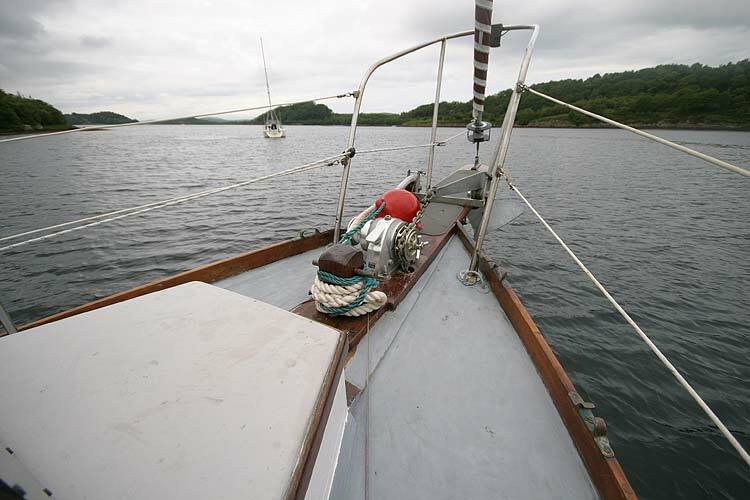 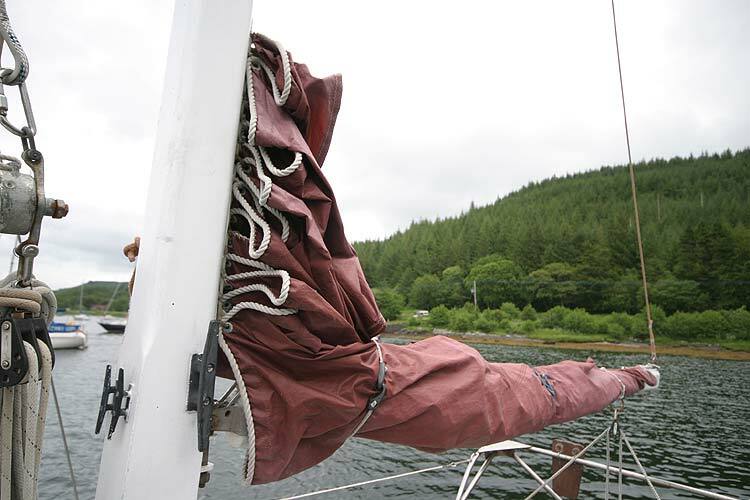 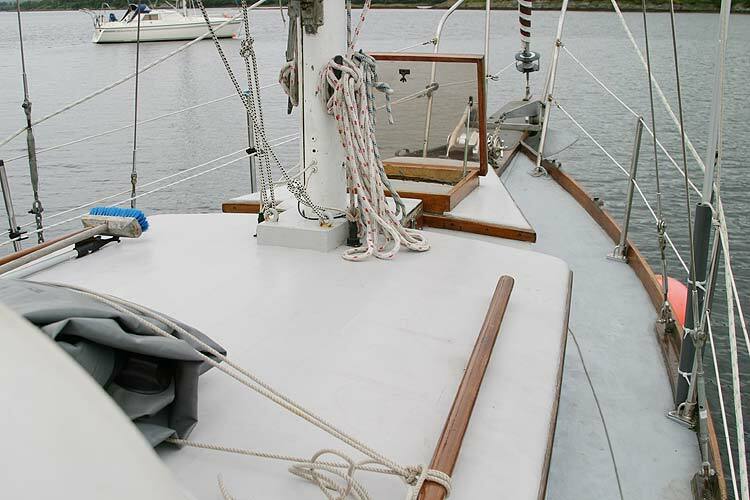 In 2003 the standing rigging was replaced in stainless steel and she was fitted with a taller alloy mast (Proctor), making the rig extremely robust. 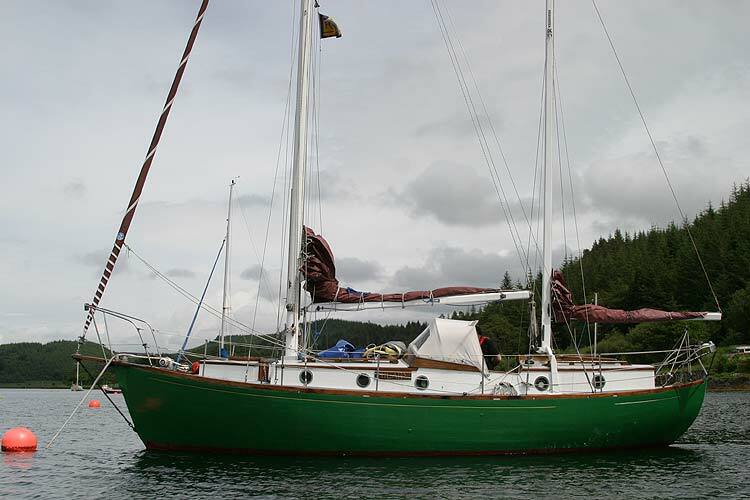 New NorthSails genoa, main and mizzen (all in tan) along with headsail roller reefing completed the rig. 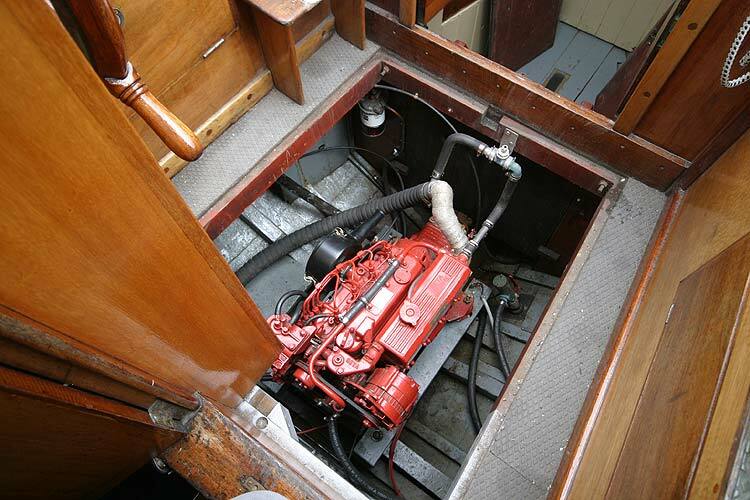 She was also fitted with a new Beta BV1505 4 cylinder 37.5 bhp diesel engine giving superb reliability and economy. 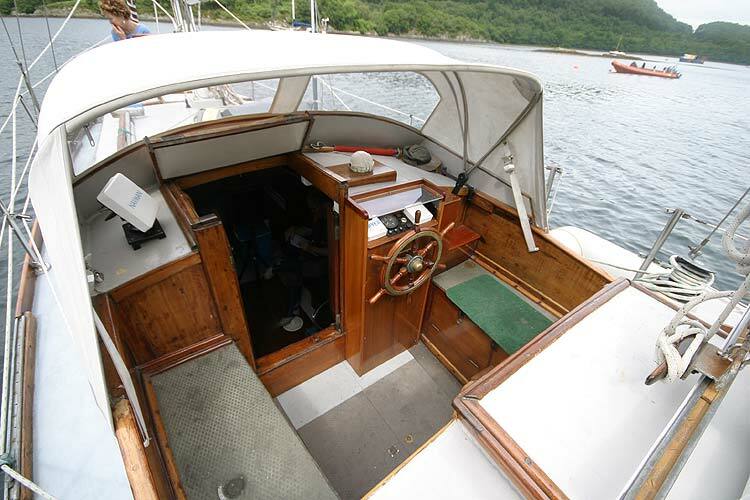 She cruises effortlessly at 4.5-5 knots and has a maximum speed around 6.5 knots. 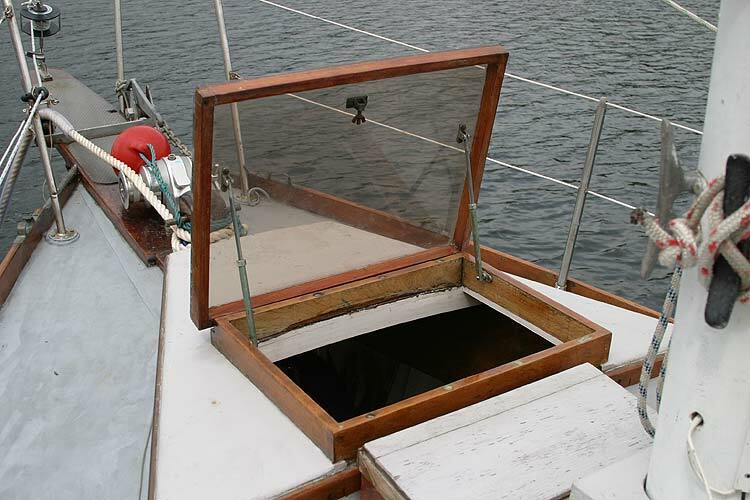 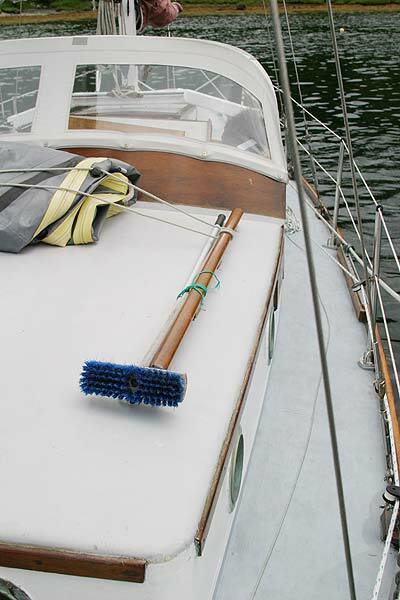 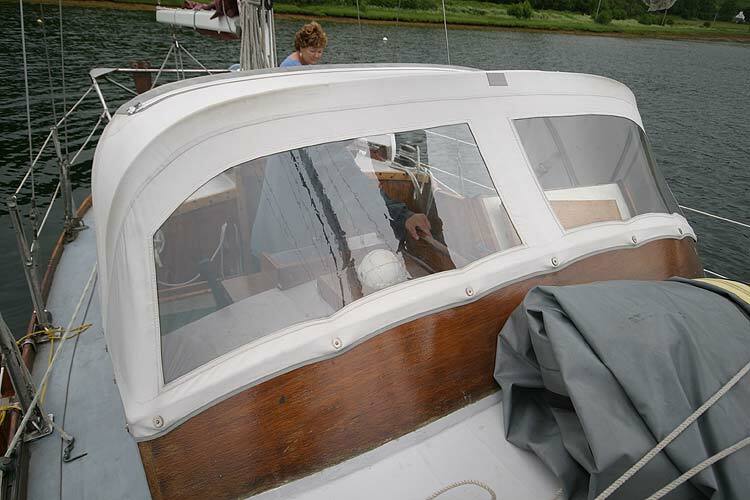 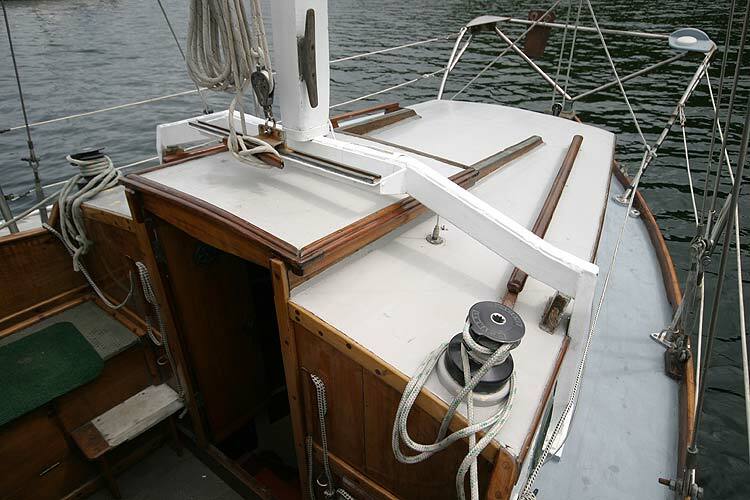 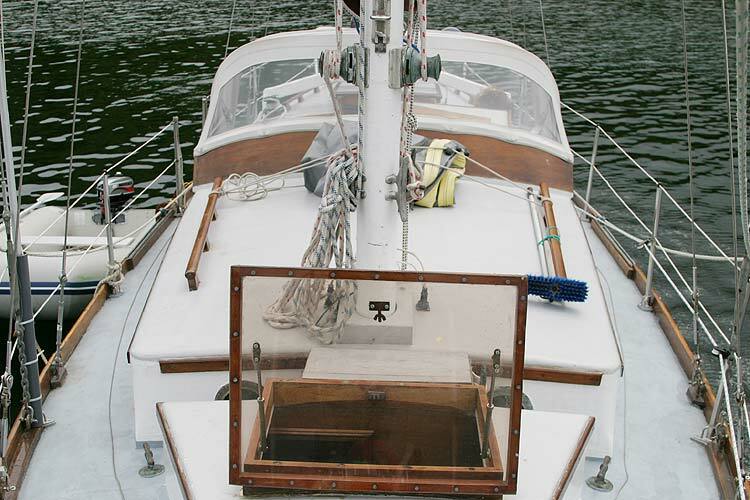 A recent spray hood and tonneau cover for the cockpit by Owen Sails provide good weather protection. 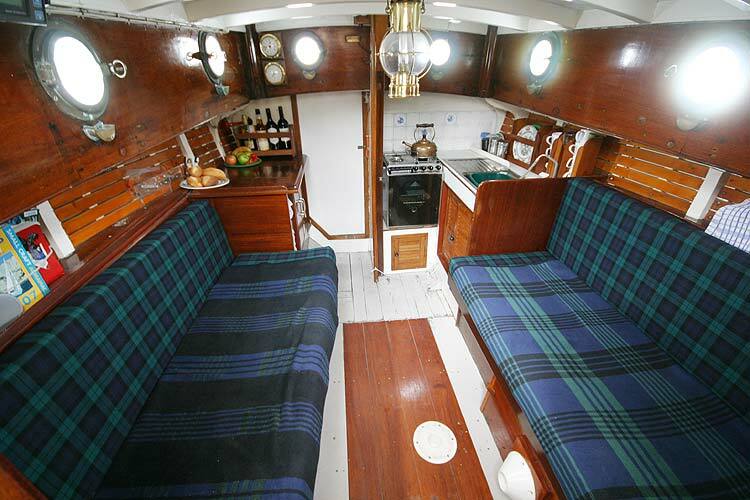 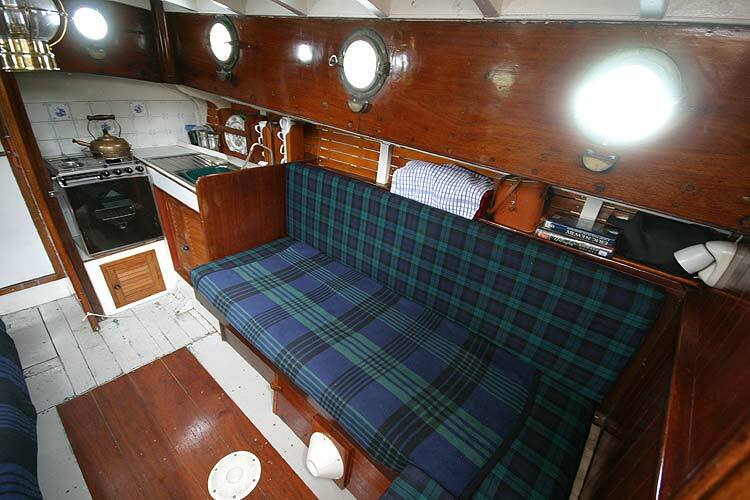 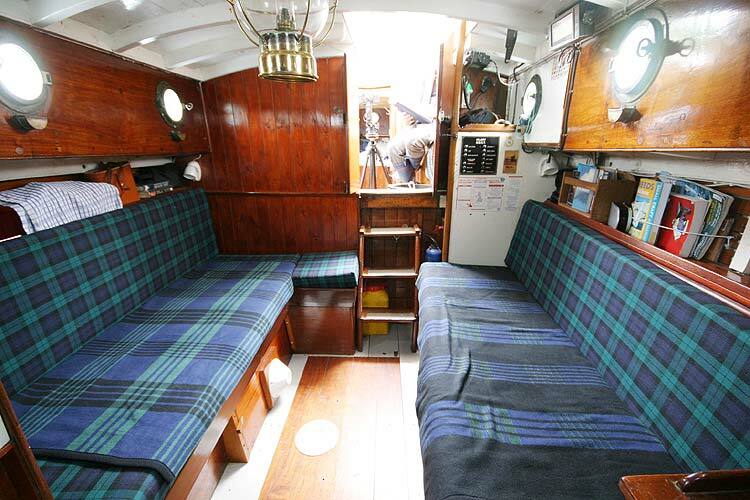 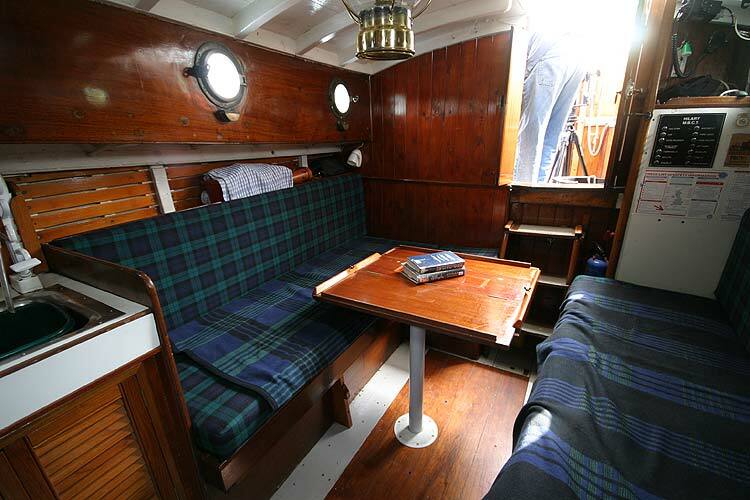 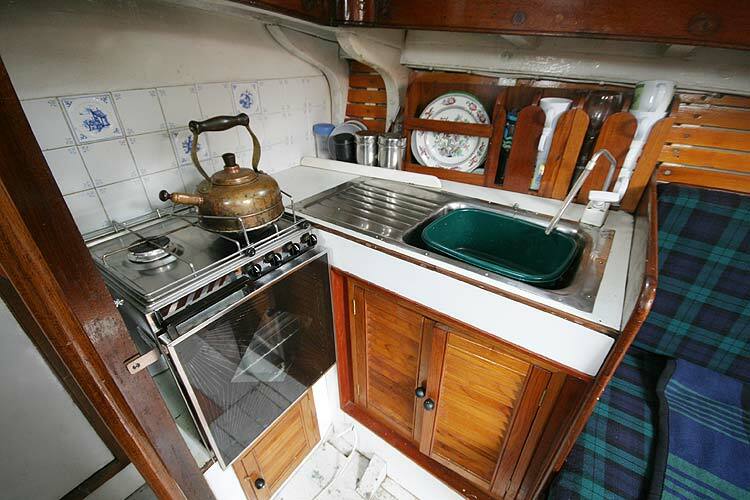 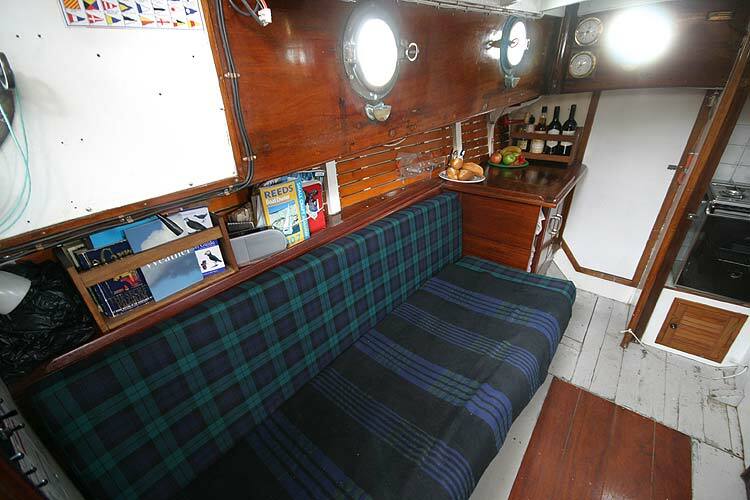 3 cabins, 4 very comfortable single berths, The main cabin comprises salon area upholstered with Black Watch tartan, galley & chart table. 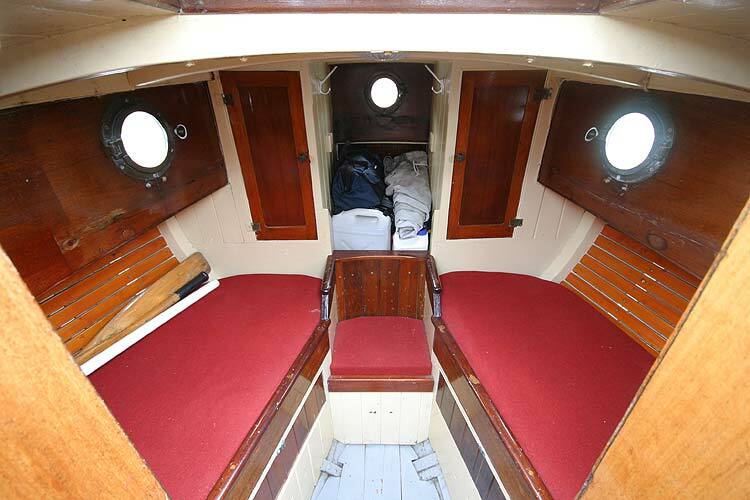 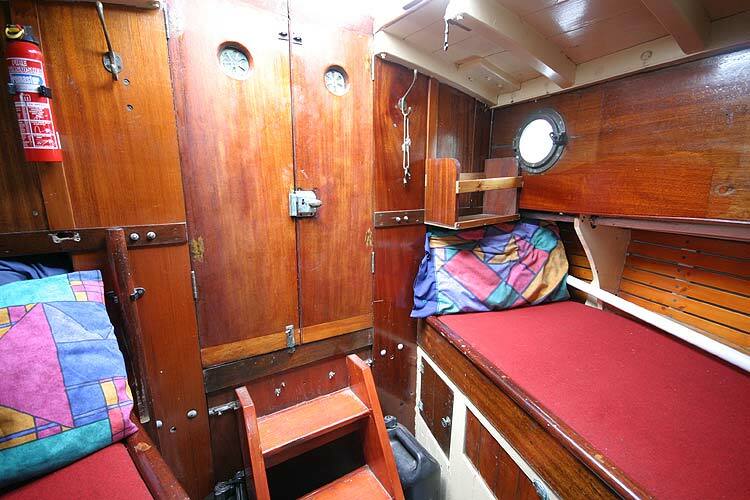 The aft cabin has two quarterberths with a seat between, all recently re-upholstered in red fabric. 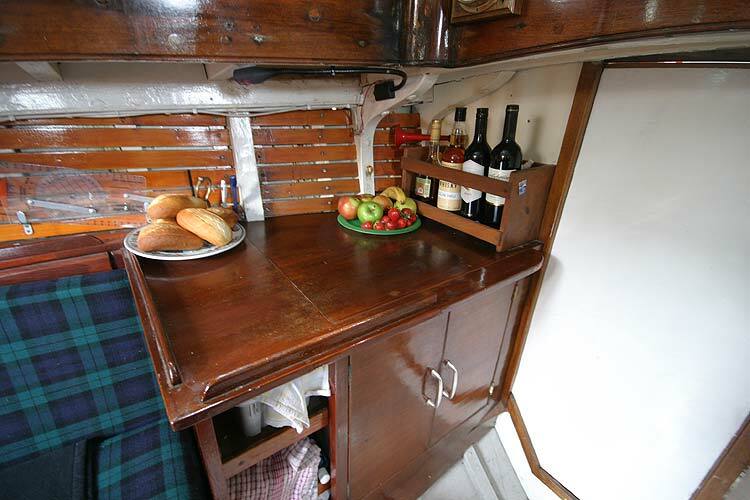 There is ample storage in this cabin. 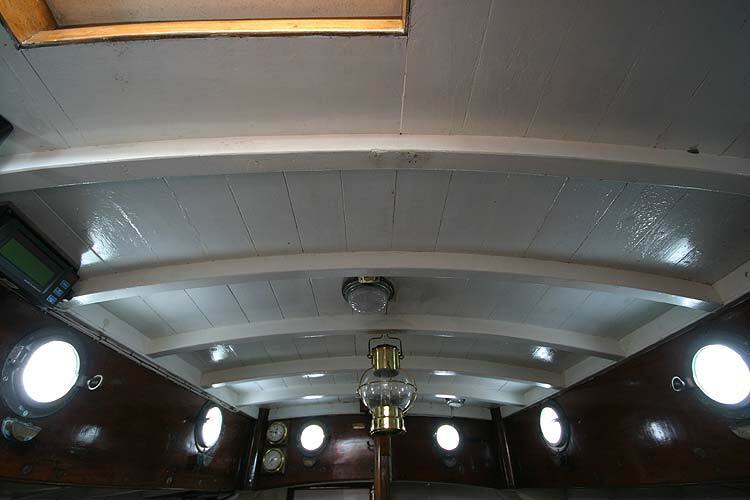 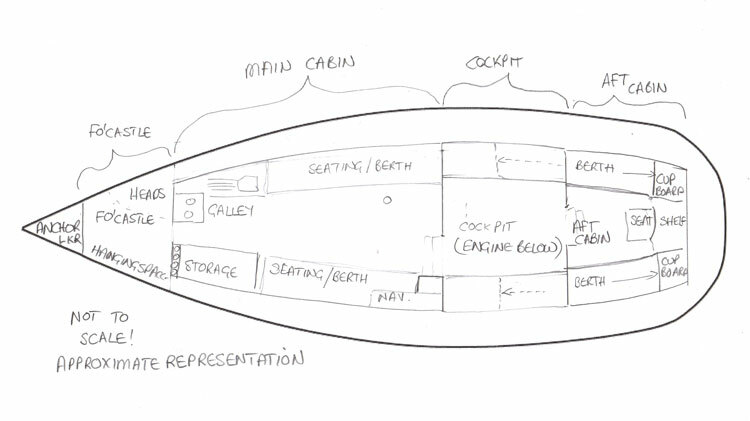 The heads are housed in the fo'castle aft of the anchor locker. 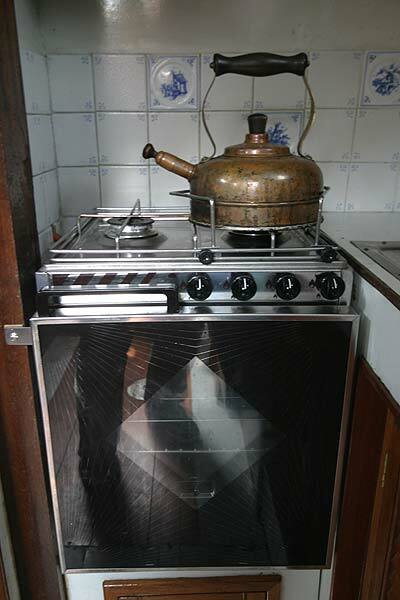 New LPG cooker with two burners, grill, oven and gas leak detector fitted 2007. 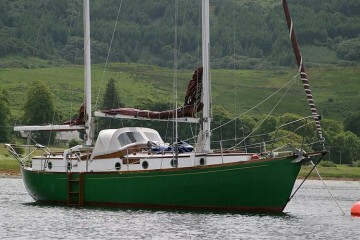 Navman Tracker 5600 with CMap West of Scotland charts, Nasa Clipper depth and log, Plastimo compass, clock, barometer. 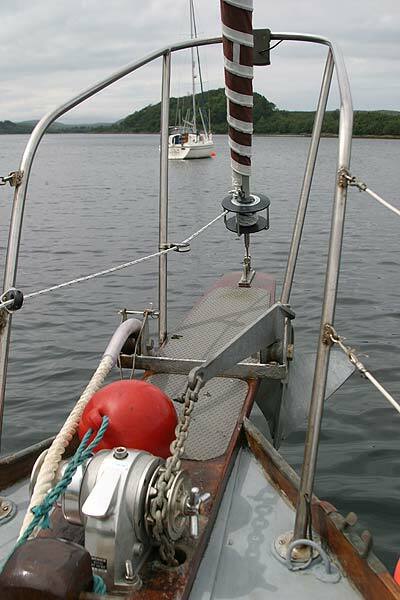 Icom VHF(upgradable to DSC). 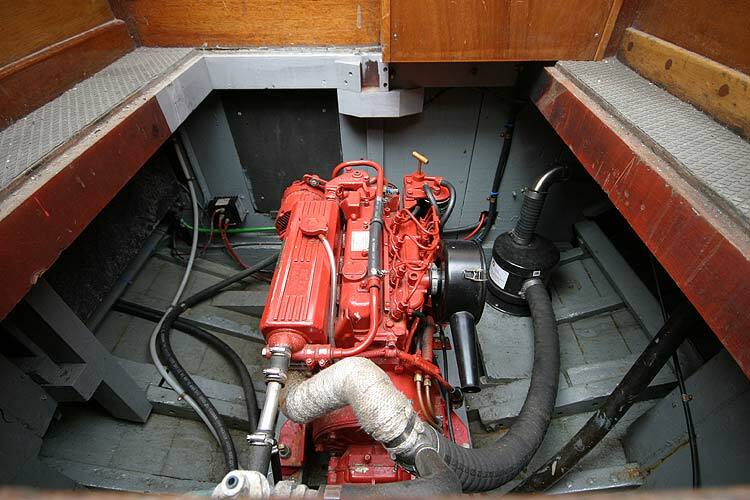 12 volt dual battery system with 1/2/both/off switch and diode split charging. 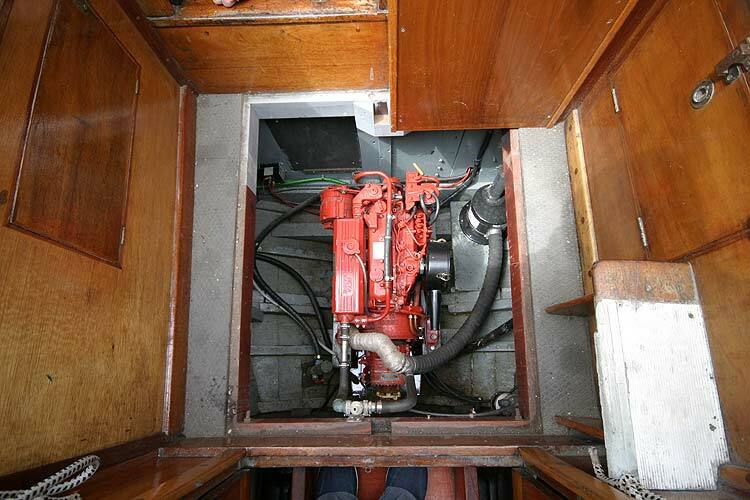 Electic and manual bilge pumps, 2 modern Lewmar winches for the Genoa and two original haliard winches. 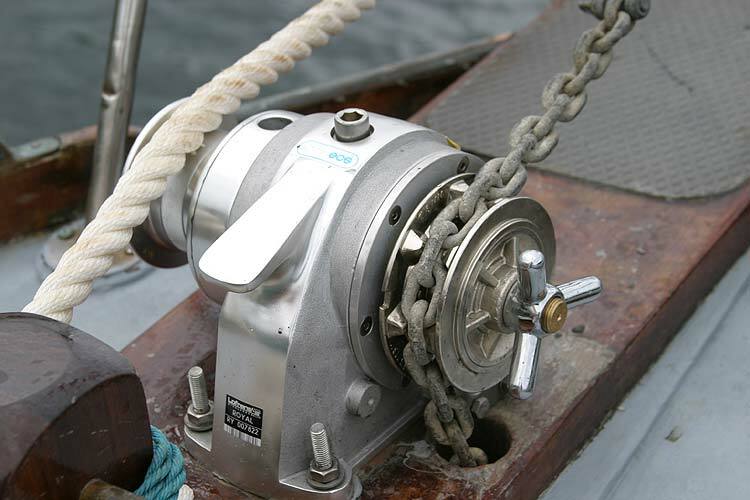 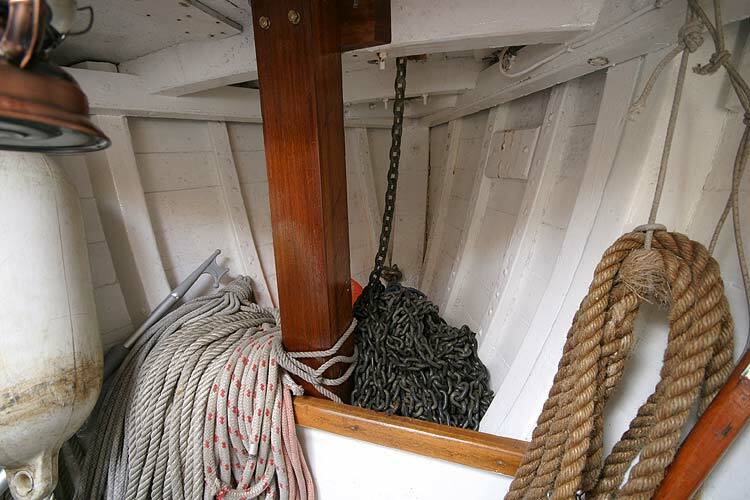 A new anchor windlass fitted 2007. 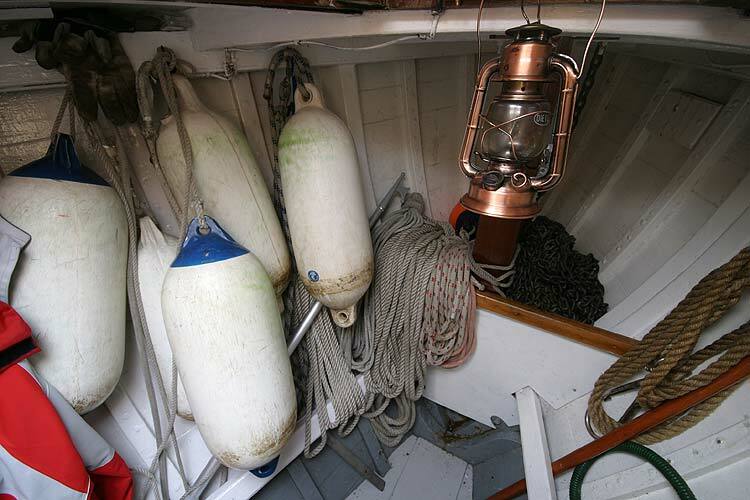 5 lifejackets, jackstays, 3 fire extinguishers. 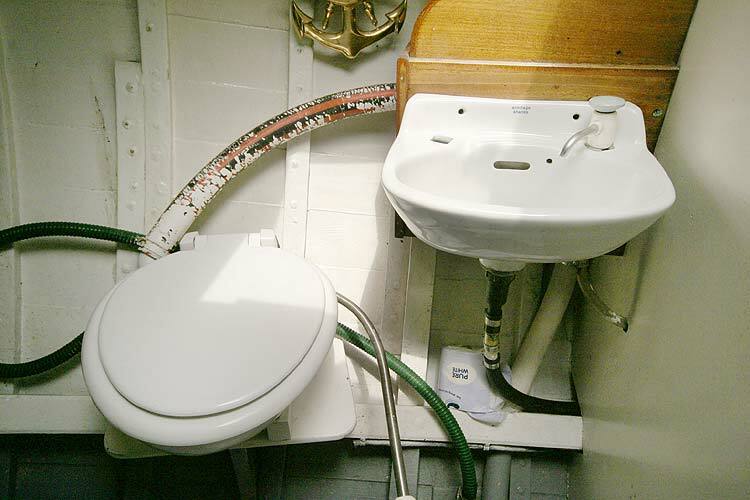 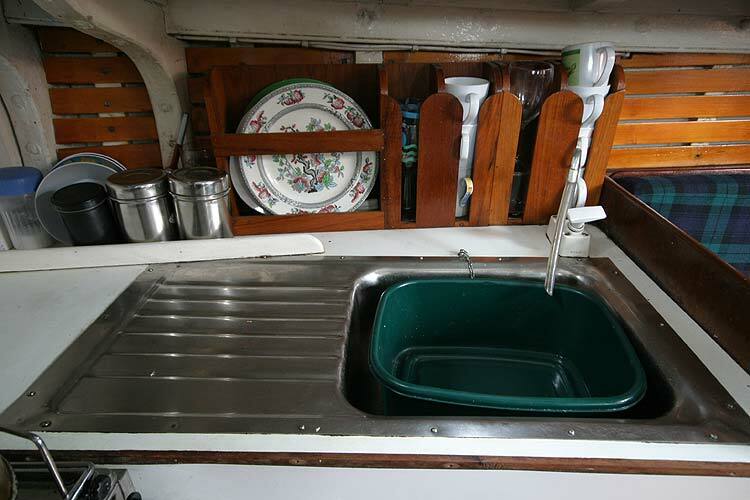 Self draining gas locker fitted on deck. 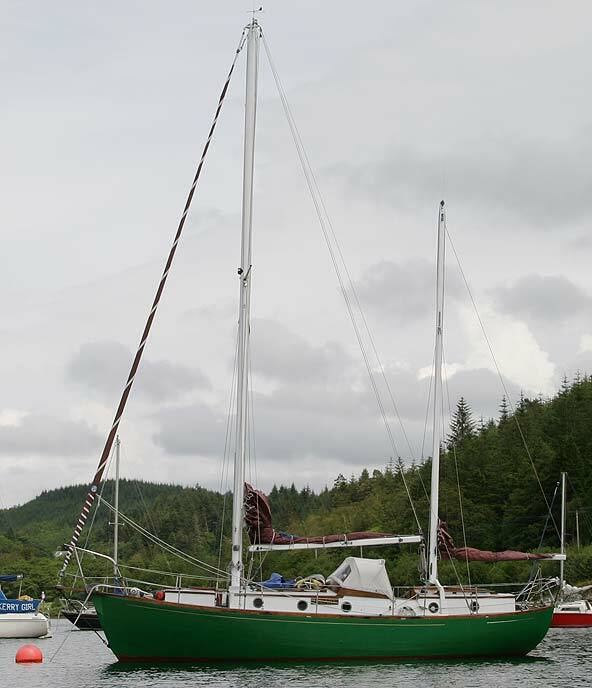 This boat is no longer for sale and remains here solely as an information resource for those researching Hillyard 8 Tonner's.